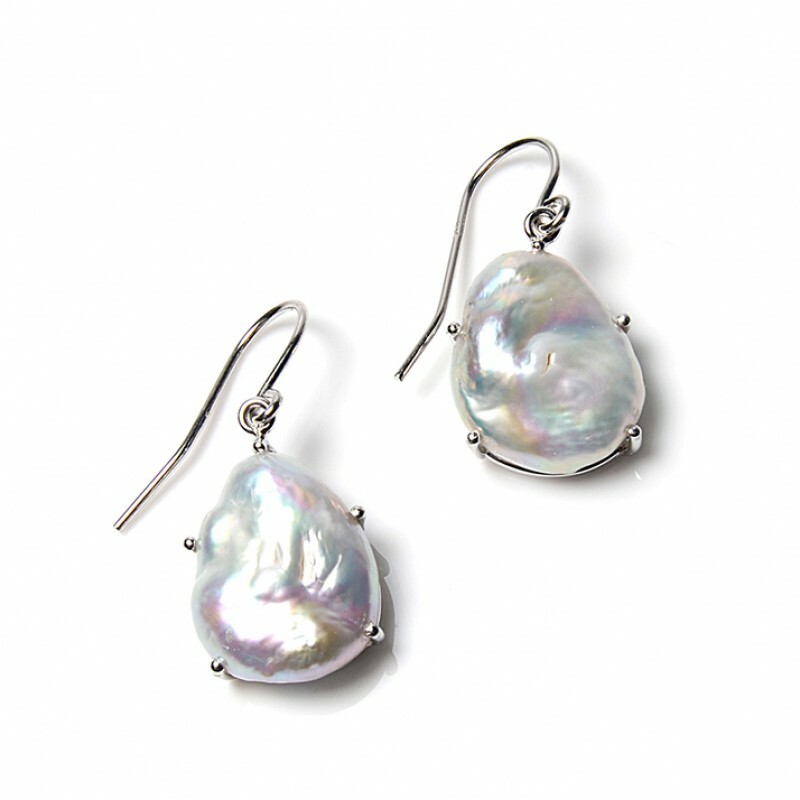 Soufflé pearl is grown by inserting an earthen-like substance into the pearl mollusk. 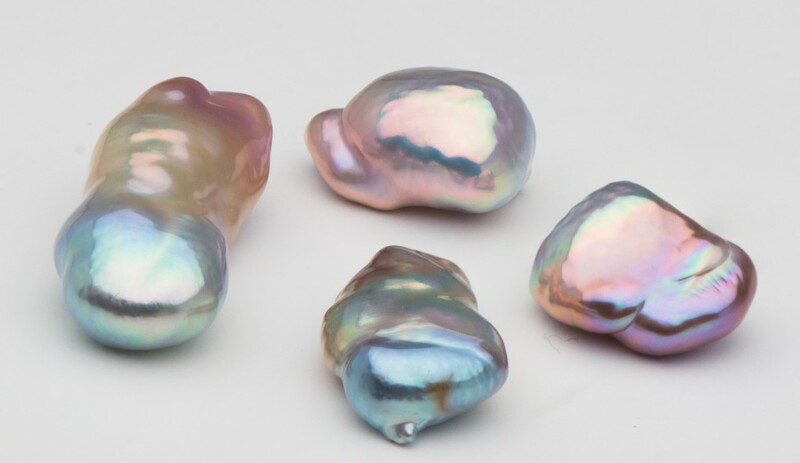 When the pearl is harvested and drilled, this substance is removed, resulting in a large, yet lightweight and colorful pearl. 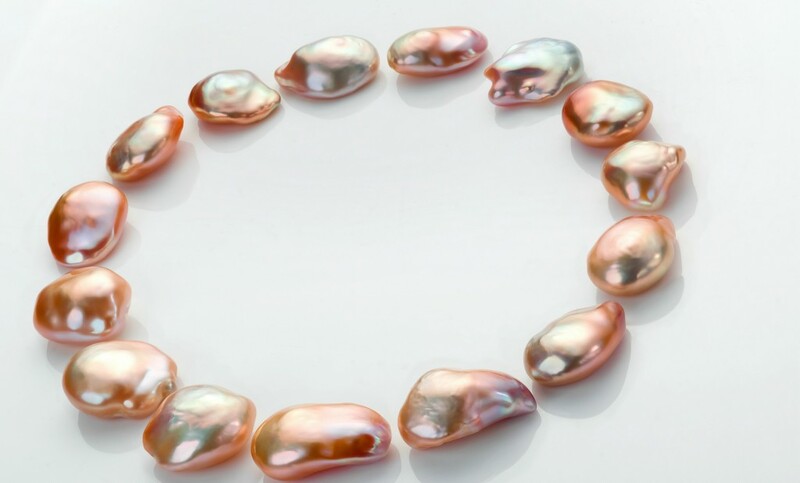 Each freshwater soufflé pearl was carefully hand-selected for their clean surfaces and intense metallic luster, making this the highest quality line of freshwater soufflé pearls we have ever carried. 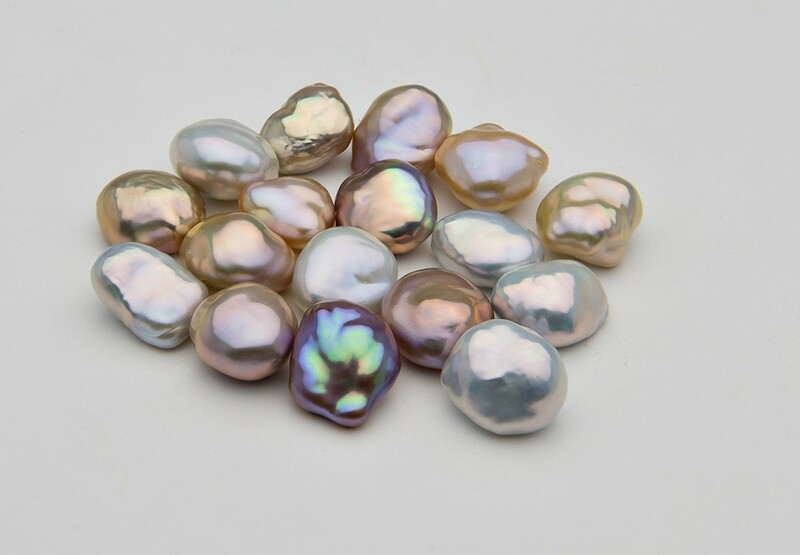 The nacre on each of the pearls is extremely thick, much thicker than the nacre found on most sea pearls, resulting in very durable, beautiful pearls with metallic luster.